I was just visiting Katie over at her blog, man is she funny. You should check her out. She has a great sense of humor and a fun writing style. I really enjoy her posts. She recently posted a video of her baby daughter and it reminded me of a funny (at least I think it is) video that I took when Boogie was about 6 months old, it still cracks me up to watch it now. The kids get a chuckle out of it too. I hope you enjoy watching and can find something funny you recorded and share it on your site. Let me know, I'd love to come visit and watch. Thanks Katie for the idea! With the start of school (Boogie started Kindergarten this year) it has occurred to me that having my oldest child start kindergarten after I just (okay, maybe more like 8 months ago) turned 40, probably puts me in the top 10% of "old" moms. When Puddin' Pop starts (in 3 more years) I'll probably be in the top 5%. XFLOWSION has me pretty excited about being fab before I turn 41. I'm not a fan of weight training. I do enjoy competitive sports, but don't really have the extra time to participate in any. The XFLOWSION videos look fun. They have a 3-in-1 system that works out your entire body, and I think I can muster up the motivation to actually do these routines. They provide a combination of martial arts, power yoga and dance so I'm sure to maximize my efforts without getting bored from doing just one thing. Fitness expert Eric Paskel provides a combination of motivation, knowledge, skill and humor in this program that consists of 4 workouts on DVD, 2 audio CD's, plus 2 guidebooks. XFLOWSION has been featured in several magazines including In Touch and Shape. If it's good enough for Jessica Biel... It's good enough for me. I want her body for Christmas, and with a lot of luck, and XFLOWSION, I just might get it. 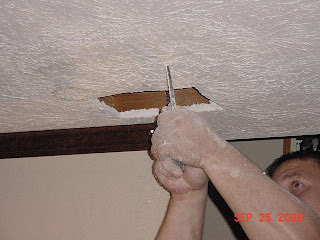 I recently posted on another blog about some home remodeling we have to do. It started out on Thursday when we had a plumber come out to look at and fix a leaky toilet. The plumber was nice enough to inform us that the toilet had apparently been leaking for quite some time (since before we moved in 5 years ago) and had done some serious damage to the sub flooring. They offered to seal it but suggested we get the floor fixed first. We called a contractor and waited for the bad news. In the mean time, my In Laws decided that they wanted to pay for the repairs. Hubby is an only child and they love to do whatever they can to make our lives easier. We decided to get an estimate to replace the linoleum flooring with hardwood and put tile down in the bathroom. Hubby told his dad about the new and improved flooring we wanted and His dad was not to pleased. He stated that they were willing to help us out but they were "not made of money" and was insulted that we would ask for upgrades. Hubby explained that he wanted the estimate to see what the difference in price would be and we would pay the difference. My In laws have been married for almost 50 years and have joint as well as separate accounts for their money. While Hubby was having the previous conversation with his dad, his mom was telling me to pick out new carpeting for the living room and the stairwell. I explained that the carpet on the steps continued throughout the entire upstairs (hallway and 3 bedrooms). While we were all expecting this "job" to cost nearly $10,000, the contractor came back with a bid (for the sub floor, and replacing the linoleum with the wood and tile) under $4,000. Elated with the news, Hubby immediately relayed the good news to his parents. Since they "are not made of money", but expected to pay much more than this, they came up with a new plan. They would like to have the floor done as needed. They agreed to the hardwood floor and the tile for the bathroom. Mom still wants to provide new carpeting, but now for the entire house. All 3 toilets will be replaced and a new vanity will be purchased for the downstairs bathroom. As if that wasn't enough, Mom would also like to have the entire downstairs repainted. The contractor will be here at 8:00 tomorrow morning and I have no idea where to begin. I'll be taking suggestions now. I will also be posting about the renovation project here. We've been a member of the disney movie club since before (I mean after) Boogie was born. Hubby and I were raised on these movies and my Father in Law is an avid collector of Disney movies as well. There are so many great movies in their collection, here is a list of movies I have enjoyed enough to purchase for our family... In no particular order. Monsters Inc (my absolute favorite), Finding Nemo, Chicken Little, The Little Mermaid, A Bugs Life, Peter Pan, Toy Story (1 and 2), Cars, The Incredibles, The Tigger Movie, Underdog (really funny), Beauty and the Beast, Ratatouille, Mulan, and Lilo and Stitch. Boogie is really getting into playing games and I think this would be a really fun game for the whole family to play. Puddin' Pop (with some help) could even get in on the action. Amazon.com and Drugstore.com have them available new and used and I definitely plan on getting one as a Christmas gift (for Boog, of course). Every kid loves to jump in puddles, right? It has been raining all day and Puddin' Pop was bored in the house with her brother at school and Mommy dealing with the Plumber and calling contractors. So when she asked to play in the puddles, just before it was time to get Hunter from the bus stop, I thought "what the hell". I may just have to turn this into a home improvement blog after a visit from the plumber today. 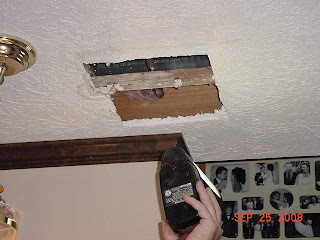 Side note: Apparently it is NOT a good idea to take pictures of holes being cut in ceilings due to the fact that the flash scares the crap out of "cutter" who assumes they cut an electrical wire (I'm still trying not to laugh). No leak can be found. However, in looking under the house (crawl space) years of water damage is evident as well as a "cover up" from previous owners and we are now taking bids from contractors to see how much replacing 50% of our floor is going to cost. I will document the events here to try to help others with similar situations and find the most cost effective solution to the problem. Todays wine will be the Tisdale Chardonnay, and it will probably be before 5! From right here in Virginia. Williamsburg Winery produces several great wines and here's my weekly spotlight. At only $8.00 a bottle , Two Shilling Red is definitely one you'll want to give a try. A medium-bodied premium blend. Similar in weight to the lighter wines of Beaujolais. 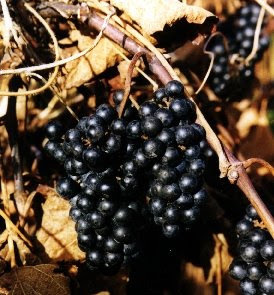 This wine is a light bodied blend, in the tradition of the wines of Beaujolais. It will prove an ideal aperitif for those preferring red wines. It is meant to be served young, and slightly chilled, with cheeses, pizza, pastas, and smoked ham. In 1621, when “ancient planter” John Johnson recorded his 100 acres located on Archer’s Hope, the 300 acre farm where the Winery now stands, his “fee rent” to the Crown was two shillings. The name John Johnson is found on the document identifying the first settlers, including Capt. John Smith. A copy of the original document is on exhibit in the Museum at the winery. So I decided to use the bathroom today after Boogie had left for school and Hubby had left for work. I'll admit it. I do not close the bathroom door unless we have company over ...what's the point? The minute you close a door in our house the kids come running. I leave it open and no one pays me any mind. 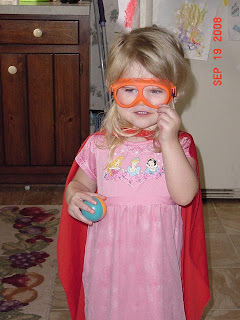 So, I'm on the potty and I hear Puddin' Pop say "Super Hero to the rescue!" Then she comes and closes the bathroom door. Me: "What are you doing Puddin' Pop?" Her: "I not Puddin' Pop, I Super Hero." Me: "Okay, Super Hero, what are you doing?" Her: "Shhh, I'm going to get the Monster." Me: "Why did you close the door?" Her: "To keep you safe. Shhh"
And off she went. When I got out of the batroom, this is what I saw. I've been enjoying dropping Ecards over the last month since I've come across some pretty good info on the blogs I drop on. I am definately NOT a drop fanatic, but manage to drop a minimum of 50 EC's for each of my blogs on a daily basis. I have seen different versions of Dump cake (at least 3) and decided if it was good enough for others to blog about, I had to try it. This is by fay the easiest dessert I've made. Dump cherry filling and crushed pineapple into 9x13 pan and mix together. Dump cake mix on top and spread to evenly cover fruit. Bake at 350 until golden brown. Mine took about 35 minutes. Serve topped with cool whip or vanilla ice cream. We had so much fun this past weekend with you and the family. I'm so glad you could come down from Chicago to visit us. Our friendship means a lot to me and I hope our kids can be life long friends as we are, we at least got them started. I am so sorry about the trip through West Virginia and the falling rocks. I've never had an issue driving through there, but I guess the rocks spotted a New vehicle and "made their move". It's like getting that new bike as a kid and "wiping out" for the first time. You don't care about all your scrapes you just check out the new bike, praying you didn't put a scratch on IT. I'm sure this has hubby more distressed than you, as boys and their cars have such precious relationships. I thought the least I could do was to research auto glass chip repair and find the best solution for you. I am confident they will do a great job and the quicker you get it done, the longer time we have for Hubby to forget about it before you come back next year. This is by far my absolute favorite wine in the whole wide world. My father is an International wine judge and had come across this wine/winery several years ago and since it was a Virginia Winery, had asked me to get it for him. I sent him a case and then started seeing it in the local grocery stores. I always had some on hand when he came to visit and eventually got my little brother hooked as well (he's in NC). Every Christmas they both wanted bottles (or cases) as their gift. I quickly figured out that while the grocery stores sold the wine for about $12 a bottle, I could save money buy ordering cases through the ABC stores at under $9 per bottle. I haven't come across it recently, the winery has several other wines on the shelves at the grocery store, but the Norton has been hard to find. It sounds very Cat in the Hat-ish Norton from Horton. We were drinking the 1993 but I was excited to see they put out a 2003 as it is just as tasty. 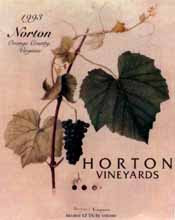 Our Norton has a dark, rich color and an intensely fruity aroma of plums and tart cherries. Ageing in oak for 14 months has given this wine a long, flavorful, spicy finish. A wine for game, grilled sausages, and spicy ethnic foods. The illustration on the label was commissioned by Congress for the National Agricultural Library. Painting by C.L. Fleischman, 1867. My goal is to lose 22 pounds in 3 months and in 6 weeks I've lost 7. Not really where I wanted to be, but I can't blame the Wii, I haven't been using it daily as I should. I'm hopefully back on track and while I haven't lost as much as I would have liked to 6 weeks in, I have definitely lost inches in my waist with all the hula hooping I've been doing and my pants/shorts are much more comfortable. I would encourage anyone who is not fond of the gym to try this out. I would NOT recommend hula hooping in front of ANYONE as you can see in the video below (no, not me). It is a great way to challenge yourself without the pressure of onlookers. I will be more diligent and will continue to post updates until the extra pounds are gone. Thank Goodness I have finally come out of this wicked funk I have been in for the last couple of weeks. Seriously, it's taken everything I have to get out of bed and do the bare minimum to get by. I'm not sure what happened. Boogie started school, kinda a bummer, but that wasn't it. I thought I would be able to get so much done with one kid gone and the other "independent" child went into needy mode, which kinda frustrated me, but I think because I was already in the funk and she was making it more difficult, shame on me, this time is really about her or I would've gone back to work by now. So, whatever it was that made me lazy, unambitious, and tired all the time, It's over. I decided Wednesday night that enough was enough and I needed to shake it. I got up yesterday, worked out (oh yeah, hadn't much felt like doing that the last couple weeks, hence the lack of WiiFit updates)Colored my hair(had to hide those "lighter" colored ones) ate well, played with Puddin' Pop and had a great day. It feels good to be back! Back Again. A spotlight of two causes you can check out and possibly make a difference by supporting. As always, if you have a cause you would like featured, leave a comment andI'll check it out. The first is from Cassandra, a cause she believes in and supports. Thanks Cassandra. Feed My Starving Children is a Christian based company that provides meals to children in 50 different countries. For just 17 cents you can provide a meal to a child. 94% of all donations go directly toward the food program. Just click the picture above to find out more. This is a program that trains hearing and assist dogs for people with disabilities. I mentioned in a previous "spotlight" that my Step Mom has M.S. and she was lucky enough a couple months ago to get a dog to assist her. Colonel helps her in day to day activies like opening doors and retrieving things such as the phone and files from coworkers and brings them to her. This dog has been an asset to her life and I want to thank Paws for helping her out. For more info, click the dogs above. I can admit it. I am also somewhat impressed that someone from PPP found my previous post about them and left a comment. Thank you PPP for the clarification. Apparently they will still review my "pending" posts and pay me accordingly. I was originally looking to submit this blog to PPP but feel it is also "not worthy" and will refrain from doing so at this time. I still hope my other Bloggy Mommies "made the grade" and can continue to work for a company that has supported them and their families. Good Luck to the Bloggers and PPP! I was looking into Christmas gifts and came across a site of interest. While I usually sign my parents up for a Wine of the Month club, I have decided against it this year for 2 reasons, They have a cellar full of wine, so my 2 bottles a month didn't do much, and my Father is currently trying to lose weight and therefor NOT drinking. I sent them a chocolate of the month club last year (they really enjoy the clubs as it feels like Christmas every month) but my Step Mom is allergic to nuts and every months selection had them in it, maybe that's why Dad is on a diet now. Anyhow, igourmet.com has several monthly clubs as well as a variety of products that are great for gifts or just to treat yourself. I'm looking into their connoisseur club which features countries around the world and comes with 2-4 products from that region. They have coffee, cheese, meats, teas, seafood, chocolates, salsas and several other products. Make your Christmas shopping easy and click the little button over on the right to check out igourmet.com. I don't think if you're here, you'll be disappointed over there. You can get 5% off any order through September 30th with code KGB5 and can also get $9.99 overnight shipping on orders over $85, from now 'til the end of the year. Well a lot of people are unhappy today, and I'm sure more will follow. Pay Per Post, a company owned by Izea, is slowly but surely weeding out blogs they do not feel are any longer worthy to their company. While i commend them for looking out for their advertiser's and their own best interests, I have made friends with a lot of Moms who rely on this income to help maintain their households and avoid going out of the house to work. This blog does not have sponsored posts, but I have one that does, and it has been "shut down" or "cut" from PPP. The blog is young, not even 90 days, and while it does have sponsored posts, they were not the majority of the content. I am, however, disappointed that out of the 11 posts I did do for them, I will only get paid for half. It sounds like they will pay for posts already approved, but will NOT pay for unapproved posts. I have $71 in unapproved posts and worked hard for those by researching the companies and giving honest feedback. The posts were not rejected, they just were never reviewed. I hope my fellow bloggers who have been in the game a while and really rely on the money, get to continue to take these opportunities and I will look for other ways to make a little extra. Don't get me wrong, I'm blogging because I really enjoy it and NOT for the money, but when I check my adsense page, or other money widgets and affiliates, the 35 cents (or whatever amount) is confirmation that people are actually visiting my blog. That's why I have them, it's like a little tracking device that you can buy coffee with at the end of the month. As for me, I'll drink some wine and see what other clever ideas I can come up with. First day of Kindergarten. I would like to say that it went off without a hitch...but I can't. Poor Boogie was fine until the bus came, then became petrified and had to be removed from my leg and carried, screaming and crying, onto the bus. Thanks to his friend for moving up to sit with him and calm him down. My heart was breaking, but I knew it was for the best. He loved his first day and while he wanted me to walk him across the street to the bus yesterday, today I got halfway across the street and he stopped me saying "Mom, I got it from here." School started on Tuesday and left me a little wrecked. My oldest started Kindergarten, and while he went to preschool last year, the school was around the corner and we were able to walk him into his classroom. This year we opted for public school as we are zoned for a fundamental school and felt Boogie would be better served with a larger class and the opportunities this school could provide. He rides the bus. I wasn't opposed to driving him, but was quickly informed by school staff that a lot of kids must be driven due to living outside school limits and that the carpool line took about 40 minutes in total and the pick up line started at 1:30 (school lets out at 3:10). So, the bus it was. We got up Tuesday morning, got through the "maybe I can just start tomorrow, I don't feel to well" (I let him know if he missed school he would have to stay in his room all day, so as not to get his sister sick). He was excited and eager as we walked out the door. His friend met us and we walked to the corner (one house down). All was well until the bus pulled up...He grabbed my leg and begged and pleaded, tears and all, not to make him get on the bus. We tried calming him, and removing him from my leg, Hubby asked the bus driver if we should just put him on, to which the driver replied "I don't know, this is my first day, but I gotta go." Traffic was backing up in both directions and while my heart said to just skip the bus ride and take him to school, my mommy instinct knew that we would be starting all over the following day. So, screaming and crying, Hubby removed him from my leg and carried him onto the bus. I will never forget the look on Boogies face as he pleaded, through the glass window, to not make him go. Tears now running down my face, I waved and blew a kiss and sent my darling baby boy to school. Needless to say, I didn't get the traditional pic of kid getting on bus, but I did take a few before the horrific incident. He came off the bus unscathed and got on the bus enthusiastically yesterday and today.